If you are processing personal data of European citizens through Matomo, even if your company is located outside Europe, you need to fulfill GDPR obligations and this guide will help you. The General Data Protection Regulation (GDPR) is a regulation which strengthen and unify data protection for all individuals within the European Union (EU). If you take steps to ensure no personal data is collected in Matomo, then you may not need to be concerned by the GDPR (when you configure Matomo Privacy settings to anonymize IP address, user IDs, geolocation data, etc.). If you are processing personal data, you need to inform users at the point of the data collection with a clear privacy notice. Learn more in our detailed article How to write a privacy notice for GDPR. If a visitor asks you to get access to her or his personal data, you have the responsibility to check her/his identity. In order to check her or his identity you could for example see if the email address from the request match the one registered by Matomo (in the case you are using the User ID feature to process email addresses). For this you can use the GDPR feature described below. Note that if you anonymize the personal data, then you cannot search for a data subject as it is not a personal data anymore. 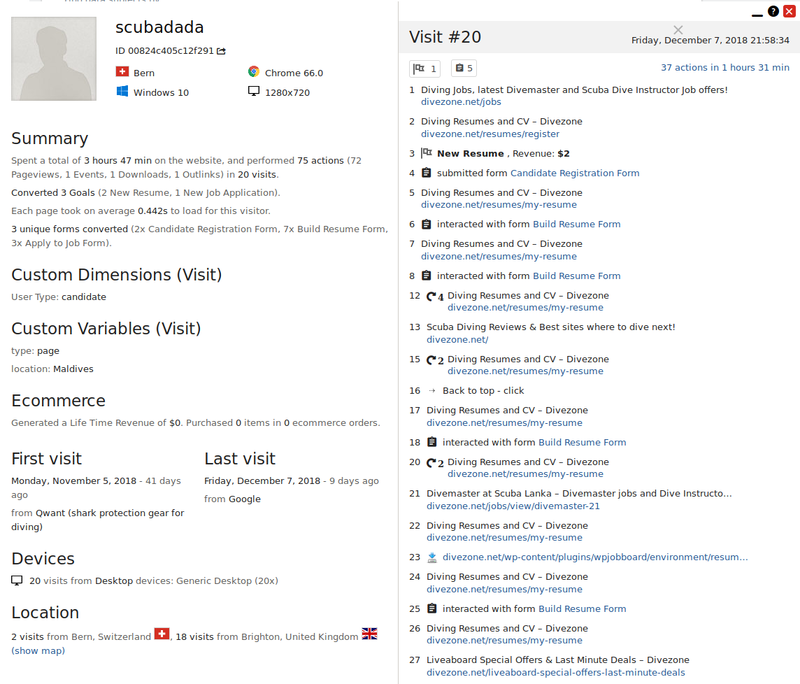 After you have verified each visit that belongs to the data subject you want to export the data for, click on “EXPORT SELECTED VISITS” to pull out the data. This will download a file with all the necessary data which you can send the data subject by email. If you are using the User ID with an email address and you search the data subject by “User ID = email address”, make sure to only send any exported information to the same email address that you looked up the data for. Inform the data subject that you have properly deleted their personal data and ask for confirmation that they received your message. If you are presented with a request to rectify the data of a data subject, we recommend you to use the right to erasure instead. If for a specific reason you really need to exercise this right and you self host your Matomo, the only way is to access the Matomo database. To do so, you will need to understand how the Matomo database is working. A user has the right to ask to get a copy of their personal data. Please check first their identity as described in “2 – Right to access”. Send the data to the data subject if you are sure about their identity and ask them to confirm that they received it. This right applies only if you are processing based on legitimate interests lawful basis. A user has to be able to object to the processing of their personal data. You can easily offer this feature by including our opt-out feature. This right applies only if you are processing personal data based on consent and using the Matomo consent feature. Under GDPR, if a user gave you her/his consent, you have to provide them a way to withdraw it. In order to remove her/his consent the user needs to perform a specific action, for example: clicking on a button “I do not want to be tracked anymore”. Learn more about how to setup the Matomo consent feature. 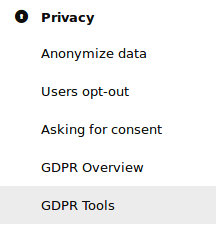 You can also click on Administration (the wheel logo at the top right of Matomo’s backend), and then click on “Asking for consent” under the Privacy section. Inform your visitors through a clear privacy notice whenever you’re collecting personal data. Make your team aware that you are using Matomo Analytics and what data is being collected by your analytics platform. Document your use of Matomo within your information asset register. Apply our security recommendations in order to keep your Matomo data safe. Check that you have a written contract with the company providing you the Matomo server or hosting which ensures appropriate safeguards are provided. Include Matomo in your data breach procedure. Include Matomo in your data privacy impact assessment (DPIA), if applicable. 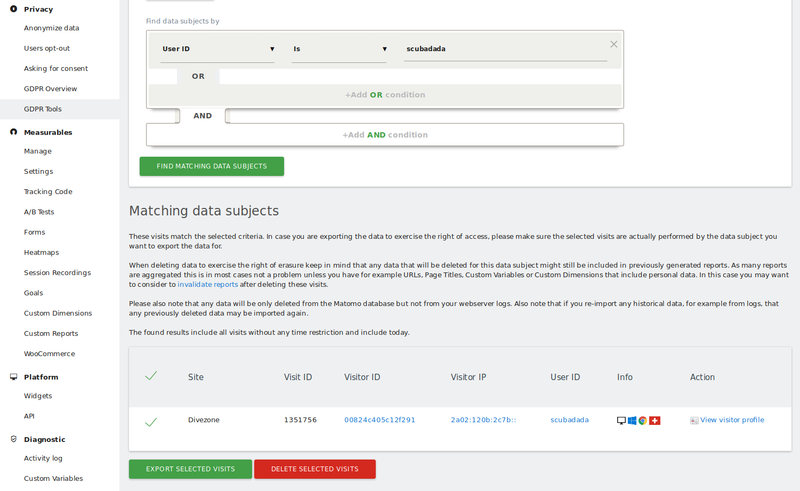 How to fill in the GDPR information asset register when using Matomo?